Turn AC3 to MP3 audio files online in a few seconds! 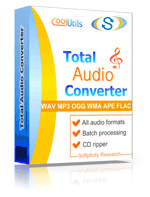 Run a AC3 to MP3 Online Converter or buy a batch App and save time! Description AC3 is a file format with multi-channel Dolby Digital sound. Each file with .ac3 extension may contain up to 6 audio data blocks, and each block consists of 256 audio fragments for each channel. AC3 tracks may feature output for subfoofer in order to create dimensional 5.1 sounding. AC3 tracks are supported by multiple freeware players, but the quality of sounding highly depends on the acoustic system. If the software doesn't support AC3, AC3 Filter codec needs to be installed.